Although it can be a difficult task to convince people to actually consider granite countertops, there is no arguing that these countertops Dallas are king. But hey, it does not mean you no longer have other best options to move forward with. Of course, you have. Granite is not the only countertop material that will transform your kitchen or bathroom into a work of art. There are alternatives out there, and here are three of them. Gorgeous – this is perhaps the right word to describe marble countertops. Being one of the best granite countertop alternatives in Dallas, this material can be cheaper than granite. And while it still requires some form of maintenance, it will not really tire you. Just remember that marble is softer and more porous than granite, and thus can stain or etch very easily. But as long as you know how to clean and maintain it, there should not be any issue at all. The real thing about marble is the kind of elegance and beauty it provides. It can easily transform your kitchen or bathroom into an inviting area, one that will be the envy of your neighborhood. And like granite, it can also increase your home’s value, just in case you want to put it out on the market. Engineered stone countertops – or commonly known as quartz countertops – are basically made of little bits of quartz mixed with a binder and then molded into countertop shapes. This alternative for granite countertops in Dallas is really a great steal. Thanks to its fabrication process, it results in something that looks like stone and is super-durable. If you like the look but not the maintenance of marble, this might be good choice for you. 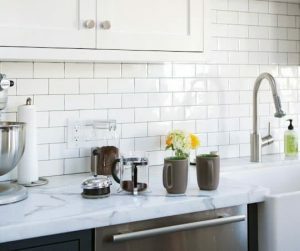 Quartz countertops are also a good choice if you are going for a very minimal look, as there are options that are pure white or pure black, with no veining. And like marble, these countertops do not break your wallet, as they can be bought with factory-direct prices. Meaning, you can buy them directly from a company that fabricates them directly. Granite as an alternative to granite? Actually, it is more like blue pearl granite as Dallas’ granite alternative. It is not a joke, though. 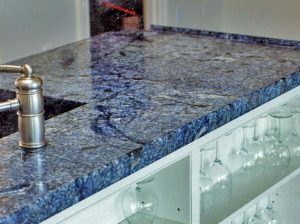 There is every reason to purchase and install blue pearl granite countertops. Its superior quality and high durability characteristics make it a favorite, especially if you are looking for long lasting kitchen countertops. A lot of activities take place on kitchen surfaces, and it is, therefore, essential to have a countertop that can successfully withstand pressure for extended periods of time. Since blue pearl granite is very difficult to get damaged, it is an ideal choice for homeowners keen on investing in high quality kitchen worktop surfaces. Are you ready to purchase one of the aforementioned granite alternatives? Give us a ring here at Hard Rock Imports. Our experts will be there to assist you, so you will know exactly every process. They will be more than happy to provide you with tips, too! Call us today for a free design estimate!